In a recent post at In the Pipeline, Derek Lowe answers a reader’s question about how best to promote drug discover in India. Given my research on the matter, I figured I would try and provide an answer as well. 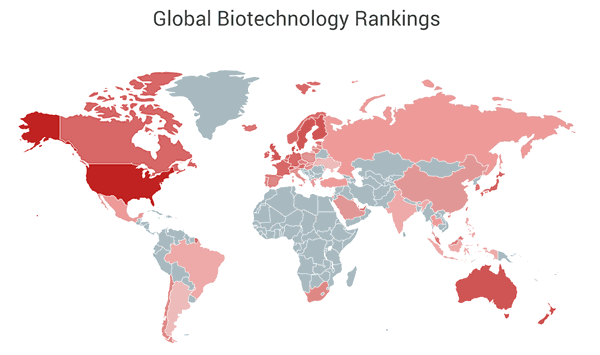 In Scientific American’s Worldview, I have been ranking national biotechnology industries for the past five years. When I was recently in New Delhi I presented the Indian innovation figures and asked the audience to guess where they ranked. Much to their amazement, India was ranked with the bottom five of the 50+ countries assessed. The issues are myriad — poor patent protection, infrastructure problems, an insufficient quantity (not quality!) of skilled workers, etc. Compounding this issue, I also refer back to my study on pharmaceutical globalization (see also peer-reviewed publication). When studying the locations of pharmaceutical patent inventors since 2000, I was surprised to find that it had essentially never moved — The US, Western Europe, and Japan have and still do dominate pharmaceutical invention. This is a sobering finding for any region (either a country or even a province/state within one) seeking to improve their drug discovery output. It is notoriously hard to seed new locations. So, where does that leave India and every other country that doesn’t have strong drug discovery? Should they simply give up? Clearly that is not a good plan, and it is also not practical because of the strong social, economic and political benefits that come from drug discovery. Rather, I think that countries seeking to develop drug discovery capacity should focus first on building foundations for drug discovery, and this is often best done by not working on drugs! One of the problems with providing stimulus to foster novel drug development firms is that, if successful, the talent, products, and profits often move to one of the established drug development hubs. It is akin to trying to build an broadcast entertainment industry outside Hollywood or developing a sports team in a new city — if you do develop talent, much of it will be drawn to the existing hubs. So, given that successfully developing drugs outside of existing hubs has been shown to be rare, and that any products and talent developed outside of existing hubs is also likely to relocate to existing hubs, what can be done? I think that a better approach is to focus on uniquely domestic needs, which can be later adapted to serve broader problems. Brazil is a world leader in bioethanol production. This capacity was developed with the initial help of tax subsidies, but it also followed a natural path — sugarcane processing. In Brazil bioethanol is produced by fermentation of bagasse, which is the pulpy sugarcane plant mass left behind after sugar extraction. Because bagasse was already collected at sugar processing plants, biomass producers simply had to set up shop at the collection points. Furthermore, because bagasse is expensive to ship, it means that the bioethanol companies are likely to stay local. To come back to the Indian example, it is important to recognize that drugs are but one way to improve health. Another way is to prevent disease. When I was in New Delhi, holidays were providing a respite from smog as farmers upwind from Delhi had temporarily stopped burning crop residues. Investments in industrial or agricultural biotechnology applications to provide alternatives to burning crop residues can improve rural employment while reducing pollution and pollution-borne illnesses. These domestic solutions are unlikely to relocate, and can build a foundation for further development in other areas, such therapeutic biotechnology. Hi Yali, these are some very interesting observations. I can’t speak for India but do have quite a bit of biotech innovation knowledge gained from working in Europe and Africa. I see the problem you are highlighting about talent developed in one location being drawn to the hubs of this world. What doesn’t come out from your analysis is what alternative interventions exist or may have worked in other locations. When you talk about the foundations are you suggesting that developing nations such as India ought to deepen/broaden their research base in general, as opposed to investing into specific drug development activities (e.g. building GMP facilities or clinical trial organisations)? I think it is important to build a research base. While building capacity for supportive services — such as CROs, GMP faciltiies, and clinical trial management — can leverage current market opportunities, the problem is that when the market opportunities disappear, there is no foundation to fall back on. Consider the case of Puerto Rico’s pharma manufacturing sector. 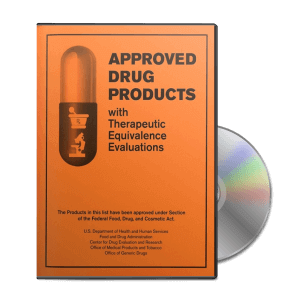 It was the dominant source of small molecule drugs sold in the US for many years, due primarily to preferential tax treatment. When the tax benefits expired the manufacturing did too. While the tax benefits were a synthetic market distortion, elements such as low wage costs can also fluctuate and remove competitive advantages. Hence, the focus on building strong foundations. Regarding India, it (the gov’t) has clearly made a choice and adopted policies supporting development of the domestic generic drugs industry, particularly targeting providing cheap, low-end products (generally not meeting genuine US/EU cGMP standards) and seeking to dominate lesser-regulated drugs sales worldwide, particularly in developing countries; while being antagonistic to innovative drug R&D. India (at the gov’t level) simply wants cheap(set) drugs, with innovative drugs (where R&D must be recouped) considered too expensive for the country (why bother to let foreigners make high pharmaceutical profits, i.e., by Indian standards?) and viewed as products to be blatantly copied by domestic manufacturers. I’ve been noticing larger Indian pharmaceutical companies starting to move R&D facilities and setting up new facilities or supporing R&D in other Asian countries that are even cheaper and/or are more supportive of pharmaceutical innovation (e.g., Singapore and even China). India’s larger pharmaceutical companies, if they want to grow through pharmaceutical innovation, appear to be realizing that they will have to do this work elsewhere. Reinhard, you don’t need to look too far to see the anti-innovation policies. In the case of Glivec ( http://www.biotechblog.com/2009/04/23/assessing-indias-innovation-climate/ ), India’s partial adoption of TRIPS accords meant that Glivec (that’s the ex-US spelling), which is patented in many other countries, failed to obtain an Indian patent. Novartis’ first response was to shift hundreds of millions of dollars of R&D investments out of India. Yali, although recent months have been challenging for Indian innovators,I would take a more nuanced position. My understanding is that there is as of yet no consensus around the level of IP protection needed for an effective ecosystem to promote R&D intensive companies. There is an awareness, however, that government policy matters and increasing attention is being paid to the identification of policies to support R&D intensive small and medium enterprises – recognized by the Department of Science and Technology and the Department of Biotechnology as the engines of innovation. Taking into account that we are in an election year (and no one ever got elected anywhere for protecting IP), I would take a ‘wait and see’ approach. I would also look to the forward-leaning states that are home to the majority of bio/pharma companies (Maharashtra, Haryana, Andra Pradesh, Gujarat and Karnataka) to take the lead in advocating for better IP systems, as happened in the run-up to the 2005 patent amendments.